The adverse impacts of environmental shocks and stressors will be disproportionately high in developing countries, especially among the poor and vulnerable populations. People will respond to these impacts with a combination of in-situ and ex-situ strategies, including mobility. Human mobility manifests in various forms (e.g. 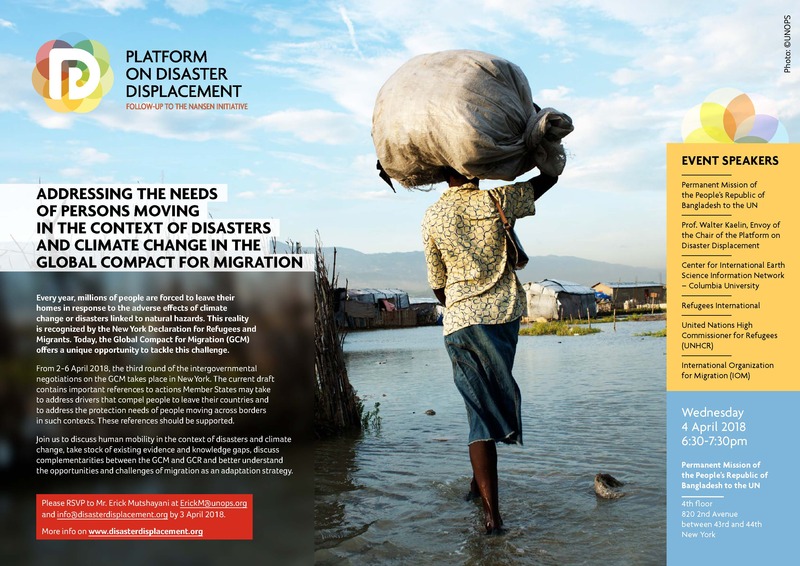 displacement, migration, and resettlement) in the communities affected by disasters and environmental change. The loss of place of residence or economic disruption due to extreme weather events results in displacement of population, which is largely temporary in nature. Though most of the people displaced by disasters remain within their country, some persons may move across border to a neighboring country. In addition, migration for work is considered to be a household strategy to spread risks of environmental stressors. Remittances are important for the households that adopt migration as a strategy to spread risks, seek employment, increase income, and accumulate investment capital. Moreover, a circulation of ideas, practices, and identities between the destination and origin communities is facilitated by migrants. Some governments are considering relocation and resettlement as potential strategies to address observed climate changes and projected changes in resource productivity and risks. The relationship between human mobility and climate change remains in the fringe of policy discourse in the Hindu Kush Himalayan countries, where migration itself exists in the periphery of policy discourse in most of the countries. Mainstreaming human mobility in climate change adaptation, disaster risk reduction, and sustainable development goals remains a work in progress. Past research in this region had suggested that most of the migrants from communities vulnerable to extreme weather events are likely to move to a destination within the country of origin. However, internal migration is often perceived as a challenge to development planning and ignored in adaptation and disaster management planning. The mandate for addressing human mobility remains fragmented within different government institutions, which have little opportunity to discuss about the relevant issues and synergize their responses. Generally, different government institutions represent the country in different global processes (e.g. United Nations Framework Convention on Climate Change, Sendai Framework for Disaster Risk Reduction, Global Forum on Migration and Development, and Sustainable Development Goals). The government position on human mobility is seldom synergized between different government institutions in the context of these global processes. There needs to be a shared understanding and common approach regarding human mobility among different government agencies that are part of the aforementioned processes. Recently, there have been some positive developments in this region. For example, the Ministry of Population and Environment (MoPE), GoN, is developing the Climate Change and Migration Strategy for Nepal through a consultative mechanism that engages relevant government stakeholders. For a better integration of the policy domains, there is a fundamental need for the various narratives on these themes to converge and support multi-stakeholder forums at the national level to discuss the approaches for such integration. The objective of this knowledge forum is to bring together policymakers and experts from Bangladesh, Bhutan, Nepal, Pakistan, and Myanmar with the aim to mainstream human mobility in national policies regarding climate change adaptation, disaster risk reduction, and sustainable development goals, with a particular focus on preparing actionable recommendations. There is also the expectation to share best practices and lessons learned across the region. a ‘model’ framework on human mobility that could foster a better understanding of human mobility across different policy domains. key messages that could foster a better understanding of human mobility across different policy domains. The Knowledge Forum will take the form of a workshop with plenary discussions, presentations, and working groups. Participants will include 20 representatives from government officials in Bangladesh, Bhutan, Nepal, Pakistan, and Myanmar. The Knowledge Forum aims to provide a platform for government officials participating in processes such as United Nations Framework Convention on Climate Change, Sendai Framework for Disaster Risk Reduction, Global Forum on Migration and Development, and Sustainable Development Goals to interact with each other about human mobility. Representatives from a limited number of international organizations addressing these issues will also participate. This Knowledge Forum will be hosted by the Nepal Institute of Development Studies (NIDS) in collaboration with the International Centre for Integrated Mountain Development (ICIMOD), International Organization for Migration (IOM), Ministry of Population and Environment (MoPE) of the Government of Nepal, and Platform on Disaster Displacement (PDD). The NIDS has been focusing on sustainable and integrated development models for Nepal. NIDS contributes to the development process by conducting research, implementing effective programs to create environment through initiation, facilitation and coordination of activities, and advocating on equitable development strategies. The ICIMOD is a regional intergovernmental learning and knowledge sharing centre serving the eight regional member countries of the Hindu Kush Himalayas – Afghanistan, Bangladesh, Bhutan, China, India, Myanmar, Nepal, and Pakistan – and based in Kathmandu, Nepal. 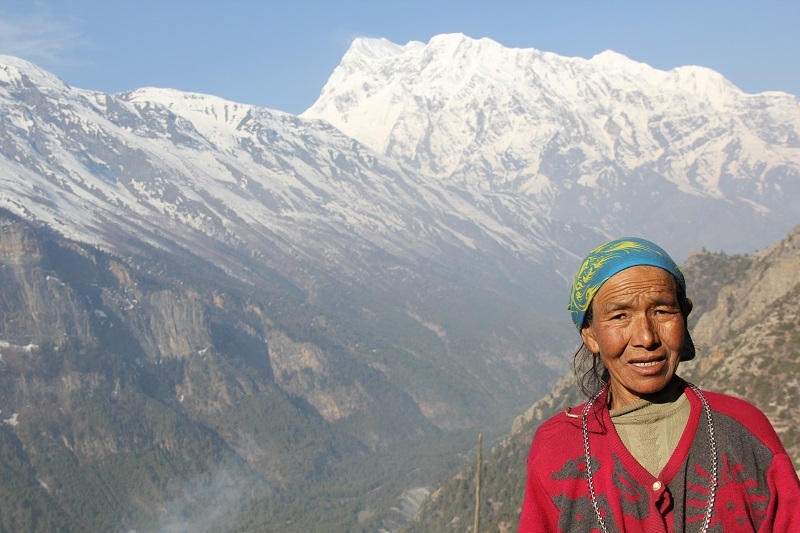 Globalization and climate change have an increasing influence on the stability of fragile mountain ecosystems and the livelihoods of mountain people. ICIMOD aims to assist people living in the mountains and downstream to understand these changes, adapt to them, and make the most of new opportunities, while addressing upstream-downstream issues. With guidance from the Board of Governors, which includes representatives of governments of all the Regional Member Countries, ICIMOD supports regional transboundary programmes through partnerships with regional partner institutions, facilitates the exchange of experience, and serves as a regional knowledge hub. The IOM, the UN migration agency, is the leading inter-governmental organization in the field of migration and works closely with governmental, intergovernmental and non-governmental partners. With 166 member states, a further 8 states holding observer status and offices in over 100 countries, IOM is dedicated to promoting humane and orderly migration for the benefit of all. IOM has been addressing the links between migration, environment and climate change for more than 25 years on all fronts, research, policy and operational and at all levels, global, regional and national. IOM is also engaged in a number of partnerships, through the Migrants in Countries in Crisis (MICIC) Initiative, and with the Platform on Disaster Displacement (PDD). The MoPE is the mandated government agency of Nepal for overall implementation and oversight on population management, environment protection and management, climate change mitigation and adaptation. MoPE also supports knowledge generation in the fields of hydrology and meteorology, promotes renewable energy and pollution control. It is also the focal institution for more than 25 international multilateral environmental agreements. The PDD is a state-led process that is working towards enhanced cooperation, coordination and action to improve the protection of people displaced in the context of disasters and the adverse effects of climate change. 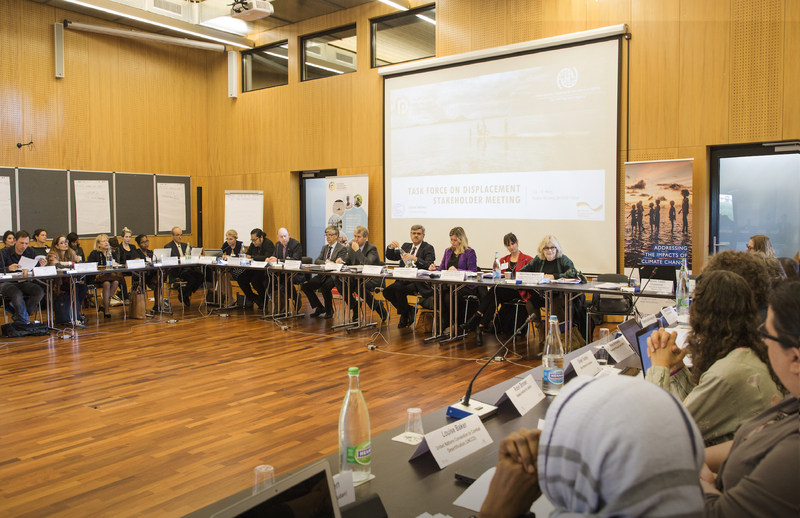 Its main goal is to follow up to the Nansen Initiative and support States and other actors in implementing the Nansen Initiative Protection Agenda that was endorsed by over 100 States in October 2015. PDD promotes concerted efforts at the national, regional and international levels among stakeholders dealing with a broad range of policy and action areas including humanitarian assistance and protection, human rights, migration management, refugee protection, disaster risk reduction, climate change mitigation and adaptation, and development.